Episode 5: After Two Beers with JC Tetreault of Trillium Brewing Co. In the fifth episode of After Two Beers, John Holl speaks with JC Tetreault of Trillium Brewing Co. in Boston. The two discuss the original plans for the brewery, how it has come so far in such a short period of time, and what the plans are for the future. 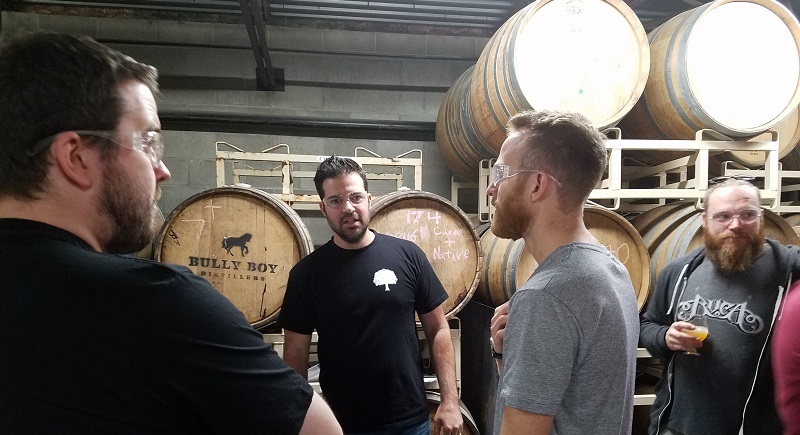 The two also discuss the rise in popularity of the New England Style IPA and Trillium’s role in furthering the style and the technique that separates them from others. In addition to SoundCloud, you can find After Two Beers on iTunes and Stitcher — or you can subscribe below to ensure you never miss an episode. We’ll send you links to the podcasts as soon as they’re published. You can also find the Beervana podcast on SoundCloud, iTunes and Stitcher as well. John Holl seems like a great guy but this interview is really boring. Trillium makes my favorite hoppy beers and I was really hoping to find out more about JC and the brewery in general. What was his inspiration for these types of beers? Why are they so hazy? What separates them from other NE-style hoppy beers? How does he feel about the “controversy” surrounding them? What are some of JC’s favorite breweries? What are some plans for future beers and collabs? What does he think of the current hoppy beer craze and the craft beer “craze” in general? After investing so much in the business, is he worried that a shakeout will occur? John’s questions are so generic that they basically could have been given to any of the folks working at the 4000+ US craft breweries today.